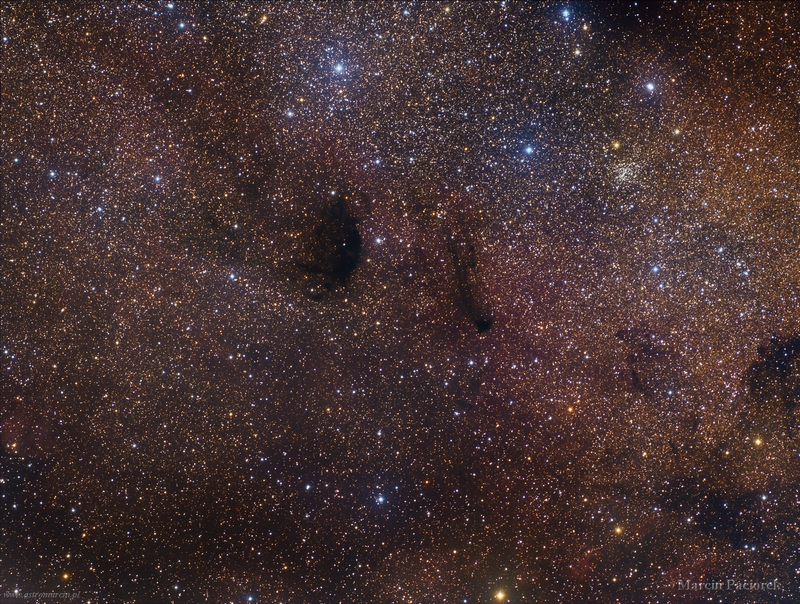 B92 (the larger dark nebula) and B93 can be seen in the foreground of the northern edge of M24 - the Small Sagittarius Cloud. Both were discovered by E.E. Barnard in 1913 and placed in his catalgue. 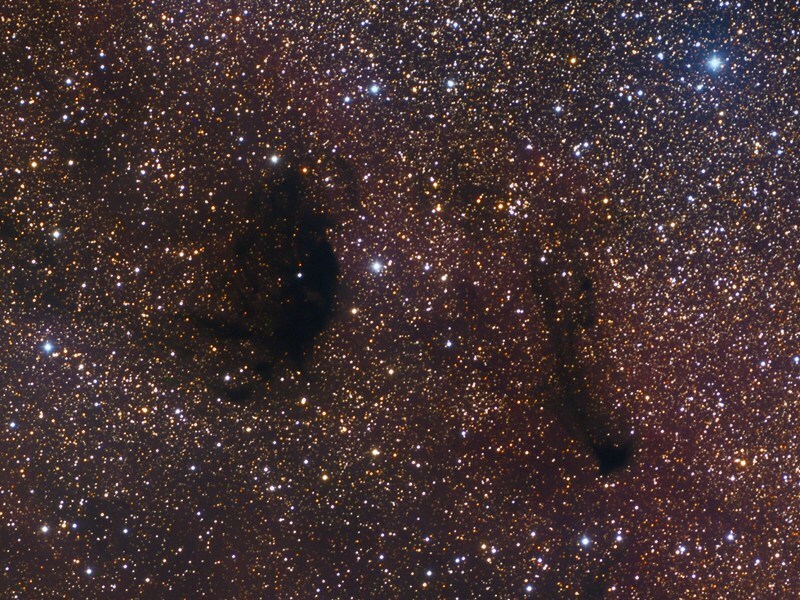 They are clouds of dust and non-luminous matter in space that block the light from the stars behind them. South is Up.